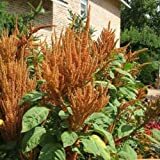 Amaranthus cruentus growing herbaceous of the genus Amaranthus and also known as Amaranth prince’s feather, Amaranthus cruentus annual plant also used as ornamental plant, grow in mediterranean, subtropical, temperate or tropic climate and growing in hardiness zone 2+. 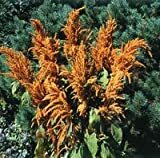 Leaves edible, color green, purple or something in between, in oval shape. Flowers color can be: purple, red, yellow, orange or white, flowers small growth on inflorescence stalk. 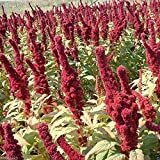 Purple Grain Amaranth 250 Seeds Amaranthus cruentus Annual Brilliant Red Color Sun or Shade Butterflies and Hummingbirds Love! Purple, red, yellow, orange or white flowers, flowers small growth on inflorescence stalk.